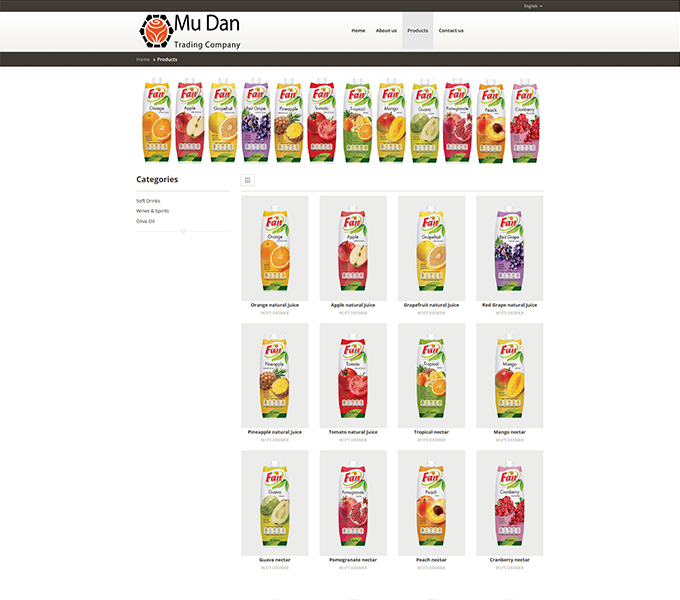 MU DAN TRADING CO. LTD is a company established and registered in Cyprus at the beginning of the year 2009. The purpose for establishing this company is to assist foreign companies to find suitable products for them, and buy from Cyprus. 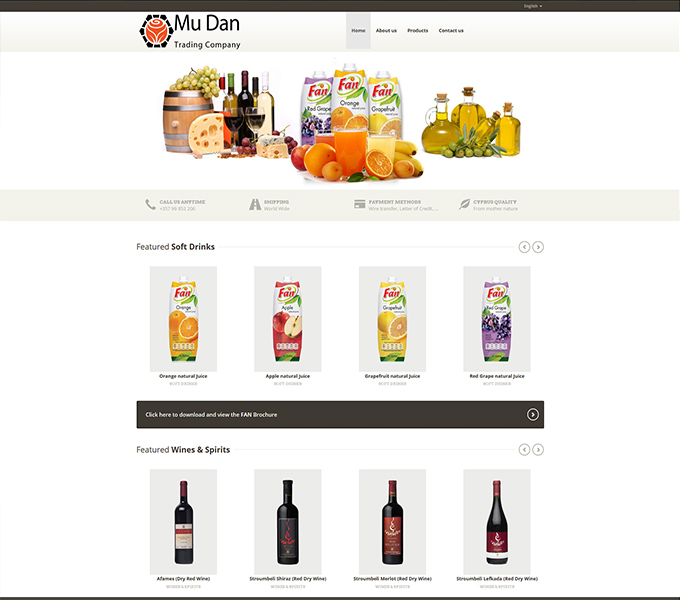 Our interest extends primarily to provide foreign companies all information to become acquaint with the local products “agricultural or Industrial” The fields that we are focusing on is mainly wine and spirits, light drinks, fruit juice of different flavours (Orange, Apple, Grapefruit, Red grape, Pineapple, Tomato, Tropical. Mango, Guava, Pomegranate, Peach, Cranberry), olive oil, halloumi cheese kefalotyri cheese (kaskavalli), different delicacies such as delights (loukoumia), pastelli, local sweets, sutzioukkos, kiofteri, etc. The directors and personnel can communicate fluently in different languages including Chinese.